Viknesh Vijayenthiran October 29, 2018 Comment Now! 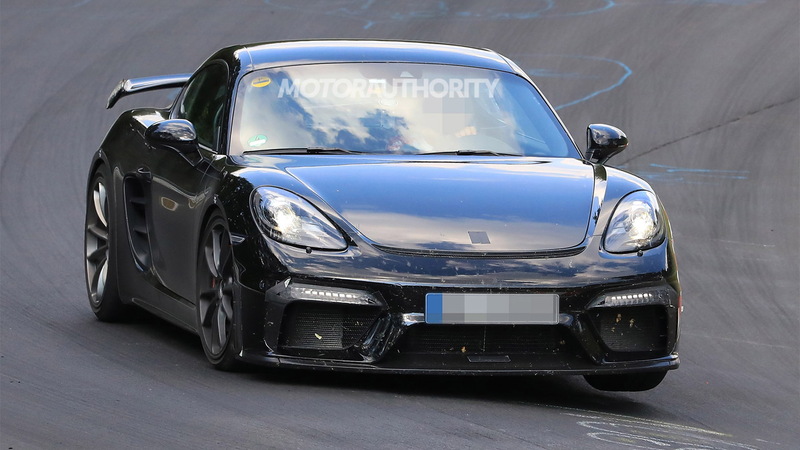 Porsche’s 718 Boxster and Cayman have just received the GTS treatment, but the German sports car marque is already working on the next rung up the ladder, the new 718 Boxster Spyder and Cayman GT4. 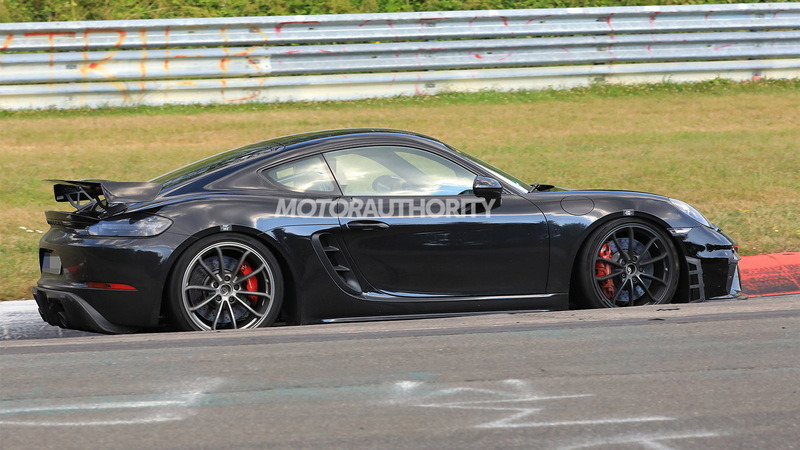 Shown here is a prototype for the Cayman GT4, or possibly a Cayman GT4 RS. The car is being developed alongside a new Boxster Spyder and should make its debut soon, likely as a 2020 model. The standard Boxster and Cayman are fitted exclusively with turbocharged flat-4 engines, but the more potent versions are expected to run naturally aspirated flat-6 engines, just like their predecessors. 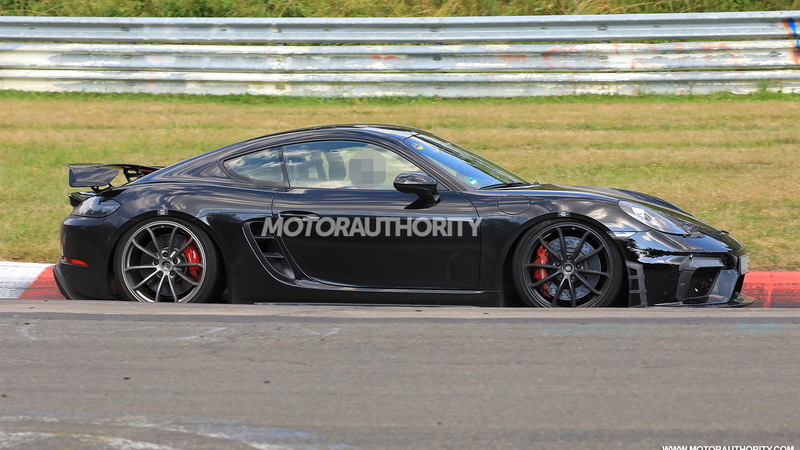 The last Cayman GT4, introduced for 2016, came with a 3.8-liter flat-6 good for 385 horsepower. There are rumors this new one will come with a 4.0-liter flat-6 with 400 or more horsepower. What isn’t so clear is whether there will be a dual-clutch transmission available this time. The last Cayman GT4 was offered exclusively with a manual. Expect the 0-60 mph time to approach 4.0 seconds and the top speed to lie somewhere above 180 mph. The last Cayman GT4 would hit 60 mph in 4.2 seconds and top out at 183 mph. Other upgrades will include lowered suspension, a more aggressive aero kit with larger intakes, plus uprated brakes and sharpened steering. 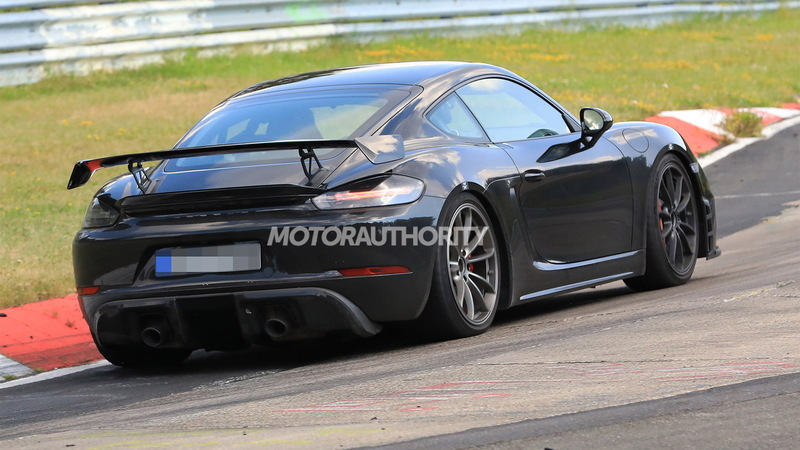 We can also see that the exhaust tips have been moved away from the center of the rear bumper, like on the last Cayman GT4, and more toward the outer flanks. There's also a much bigger rear wing fitted to the latest testers. 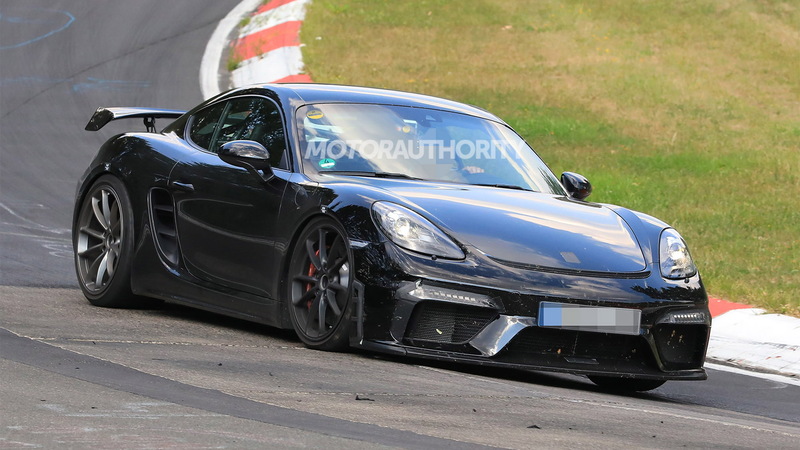 Note, there's also a GT4-spec racing version in the works, known as the Clubsport. A prototype was recently spotted testing at Italy's Monza.